Holy Ghost Parish still remains one of the more active parishes in the Archeparchy with its string of year-round events. On Friday May 26th, they held a major lunch and dinner service from 11:30 AM to 1:30 PM and then again from 4:00 PM to 7:00 PM. They offered both eat-in and take-out options. Many, of course, opted for both! 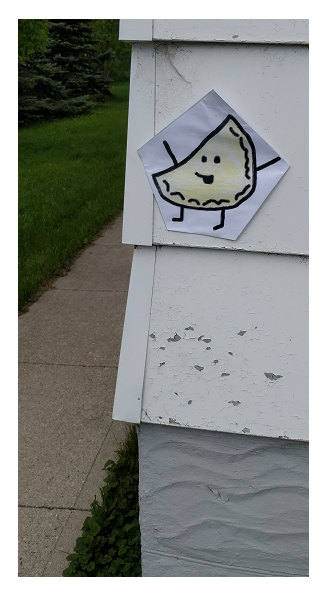 Visitors to the church had to follow the signs and the "perogy clues" posted on the wall and posts around to the parish hall entrance from the westside of the church. Holy Ghost Ukrainian Catholic Parish is under the pastoral care of Rev. 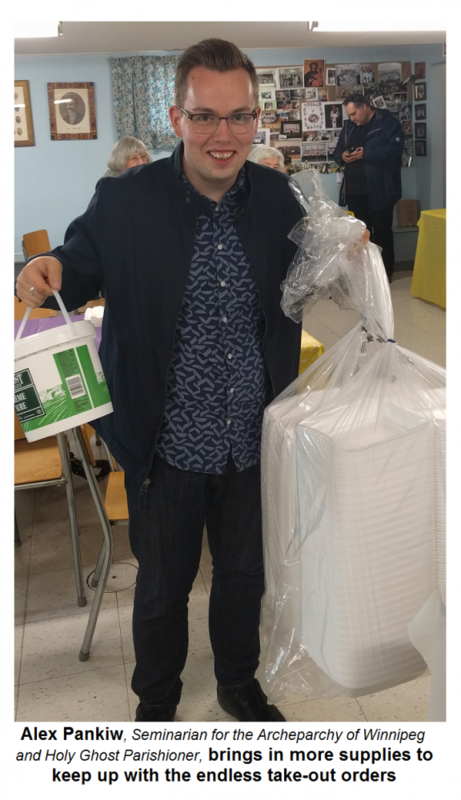 Dr. Douglas LeClair and is twinned with St. Josaphat Parish on Alverstone. 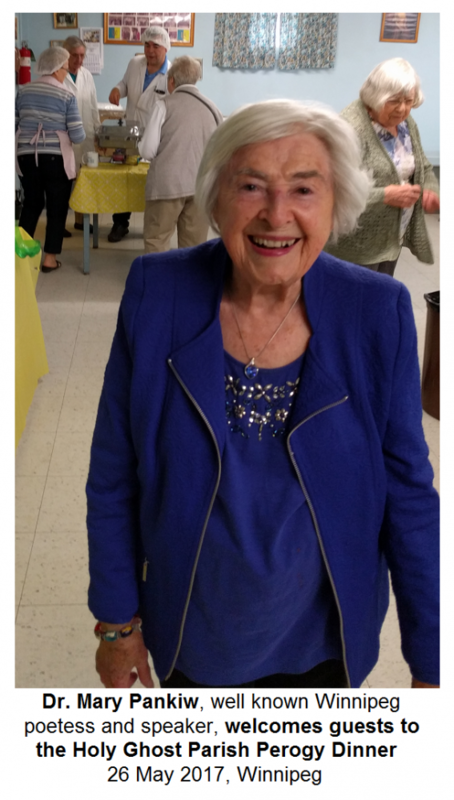 Although the number of parishioners at Holy Ghost does not make it one of the city’s larger parishes, they still manage to hold a number of very successful fundraising and social events to which they attract crowds of guests - invariably including religious and political dignitaries. 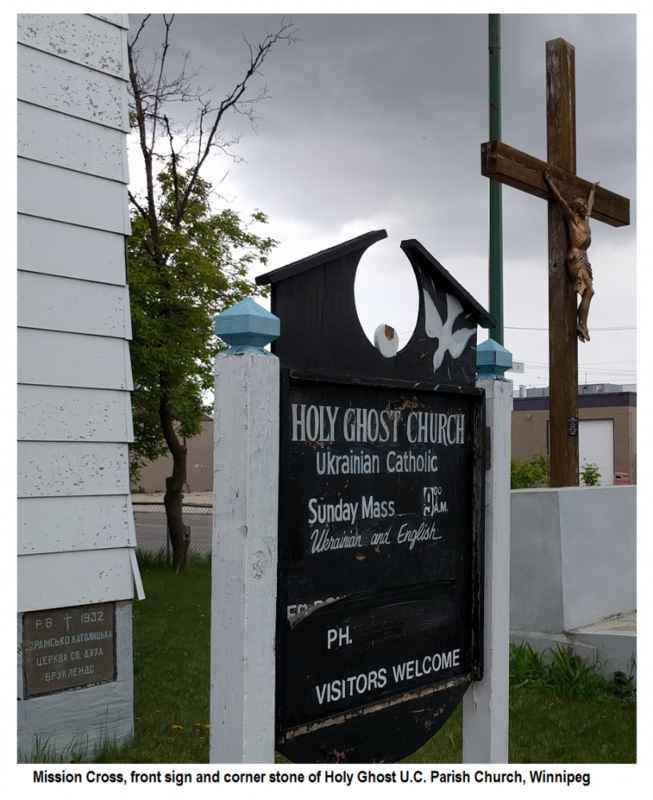 The Holy Ghost community, although not the oldest parish, can boast having the oldest standing Ukrainian Catholic Church building in the city of Winnipeg. In fact, they are celebrating their 85th anniversary this year. The Parish is already hosting their second event starting tomorrow (May 27-28) as one of Winnipeg’s many heritage sites participating in the annual “Doors Open Winnipeg” event. 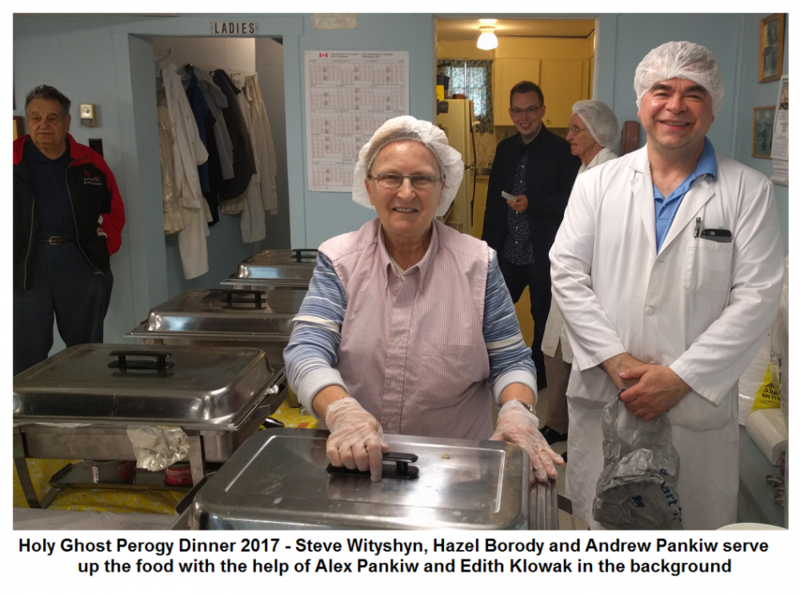 They are one of two Ukrainian Catholic Parishes that have entered the event, the other being Holy Eucharist Parish in East Kildonan at the corner of Watt and Munroe. Both parishes have won awards in various categories of the Doors Open celebration. Holy Ghost won the peoples’ choice award last year for exhibiting the “Best Hospitality”. This was easy to see why today as all guests at the perogy dinner were warmly welcomed and hosted with great food and warm conversation.